What Can You Do With Shiso? Let’s talk Shiso! It is a Japanese herb which has a taste all its own, although I think it tastes sort of lemony. Its English name is Perilla, although it is sometimes refereed to as the Beefsteak plant. I have no idea why that is. It comes in a green and purple variety and although it is an annual herb, it can reseed itself in mild climate. The reason we are talking about Shiso, is because I have a lot of it. I bought two small seedlings from the most awesome Japanese store near us, Hana Market, and now I have two small Shiso bushes. I am sort of at a loss as to what I should do with it. Do yall have any better ideas? Let me know in the comments. Also let me know if you are in DC and interested in a packet of Shiso leaves. 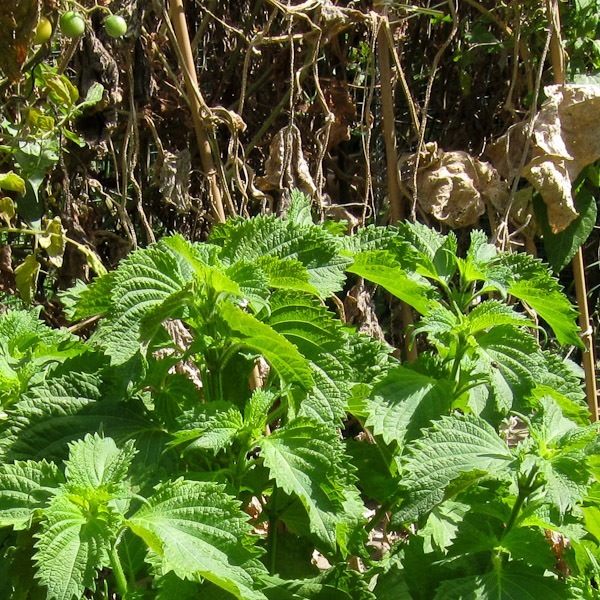 Just saw this post about shiso…I was introduced to it in Korea. At the bbq restaurants there you get it to wrap everything in. Try a small bite of grilled meat, slice of raw garlic, kinchi (or something pickled) wrapped in a leaf. Yum! Thanks for all the great ideas! I am going to go harvest this weekend, so I will post everything we do here. Now that I am over my fear of frying, I might have to give tempura a try. Try shiso pesto. Just sub shiso for basil and follow your normal pesto recipe. Freezes beautifully. We put up quarts and quarts of it last year and finished the last of it right as this year’s seedlings were popping up. It’s not the healthiest thing you could do with it but I really miss shiso tempura. I live in the mid-west and there isn’t a shiso leaf in sight. I tried growing it from seed but I’ve never had any luck. I had several reasons to grow them but since I gave up I’ve forgotten what I wanted them for, but looking at your plants makes me drool! For the tempura you dip several leaves and fry them layered together. I’ve been making a variation of a shiso dressing and using it to dress salmon before and after baking it in the oven. I don’t have ume paste, so I’ve been omitting that and I use tamari instead of soy-sauce, which I think has a better flavor, honey or maple syrup instead of sugar… but generally follow the recipe otherwise. I’ve had similar dishes using shiso with seared tuna as well. I think the flavor is a little better suited for tuna, but I’ve the good fortune to have a freezer-full of king salmon from Alaska to work with.